In September 2016 our team participated in the CINDI-2 campaign, held in Cabauw, the Netherlands. CINDI stands for Cabauw Intercomparison of Nitrogen Dioxide Measuring Instruments and involves the comparison of a host of ground-based DOAS instruments for measuring atmospheric Nitrogen Dioxide (NO2) amounts. It is the second large scale international campaign addressing the intercalibration of remote sensing instruments using the DOAS technique to monitor air quality in support of satellites. More than 40 instruments operated by 30 groups participated to this field campaign. 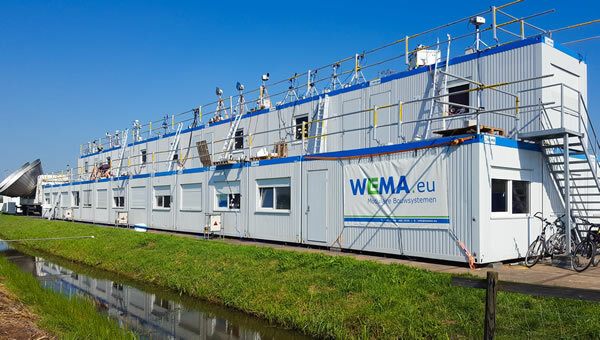 They include MAX-DOAS instruments as well as in situ systems (CAPS, NO2 analyzers, NO2 and O3 sondes, lidar measurements, sun photometers and ceilometers). One of the goals of the campaign, which is funded by ESA and the Netherlands Space Office, is to assure a reliable suite of instruments for the validation of the data from the upcoming S5P/TROPOMI satellite instrument, scheduled for launch in 2017. The UV/Vis team of BIRA-IASB is involved in the data processing of the TROPOMI instrument, with main responsability on sulphur dioxide (SO2) and formaldehyde (HCHO) algorithm development. Furthermore the CINDI-2 campaign lies at the basis of the creation of a European network of reliable MAX-DOAS instruments, to be initiated as part of the ESA FRM4DOAS project. 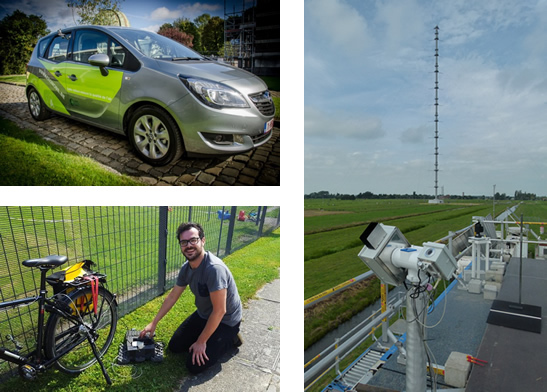 BIRA-IASB participated with a MAX-DOAS instrument and a mobile DOAS instrument operated from a car (Aeromobil project). Also, first tests with mobile DOAS measurements from a bicycle were performed. In addition to DOAS instruments, BIRA-IASB has also installed two CAPS systems and a small Smart-citizen to monitor NO2 from the tower.